POP QUIZ: What is the converted FAT time for a hand timed 200m straight or hurdles? How about Don Styron’s 200 meter hurdles WR of 21.9 set back in 1960? So when Tyson Gay ran a 19.41 FAT at Manchester, he now has the ultimate world record without controversy. Timers use the smoke (not sound) from the gun to start the stopwatch. The closer you are to the gun, the better your visual reaction time to the smoke. Thus for any race where the starter is NOT at the finish line, like 100m and 200m starting lines, the conversion is 0.24 seconds. 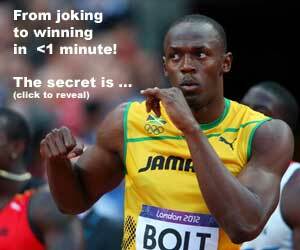 For the 400 meters (and 4x100m and 4x400m relay) it is 0.14 seconds. But wait! The 200m straightway is really far from the finish line! I remember in high school (a long long time ago) I had a hard time seeing the starter for this race. Imagine the timers! READ Million Dollar Man Richard Thompson - Bigger than Ato Bolden? The 0.24 conversion is “accurate”. How they came up with 0.14 is another story. Maybe it’s just a nice round number, just like the 0.100 reaction time for false starts. If the above research is a true indication of visual reaction times, what should the conversion be for the 200 meter straightaway? 0.34? If that is the case, is Tommie Smith’s WR of 19.5 really “19.84”? Is Don Styron’s 200 meter hurdles WR of 21.9 really “22.24”? I feel that Tommie Smith, “Bullet” Bob Hayes, and other top sprinters from the 1960’s were phenomenal athletes. Until the Mexico City Games in 1968, sprint races were predominantly contested on cinder tracks. So, the performances these athletes achieved on primitive athletic surfaces and with primitive race equipment were remarkable. One could only imagine what a Bob Hayes, Tommie Smith, and Lee Evans could do in this modern era with the proper equipment, latest training theories, and modern nutritional supplements. But, at the same time, I do not give much substance to “hand-timed” world records. They are inherently inaccurate. They do not and cannot meet the stringent standards that automatic timing devices do. I think such references to “hand-timed” performances as world records should be eliminated. I do have one passing, tangential thought. Why can’t the video analysts “freeze the frames” of Bob Hayes’s 1964 4X100 Olympic relay leg and determine the exact time for his leg? The exact time would commence from the time the baton touched his hand until the time his torso crossed the finish line. Given the cinder track at Speed City and Tommie Smith’s approximate 19.74 conversion, it’s not hard to visualize Smith turning on his “Tommie Jets” and overtaking Tyson Gay a la Mexico City and John Carlos. The problem with the vision of Tommie Smith overtaking Tyson Gay is that Gay has a legal, fully automated timing of 9.69 seconds for 100 meters and a legal, fully automated timing of 19.58 seconds for 200 meters on a curve. Smith’s best 100 meter time was 10.1 and I believe that was hand-timed (inaccurate). Smith did have a fully automated time of 19.83 for the 200 meters on a curve (in the high altitude of Mexico City, probably aiding him .2 seconds). But, let’s face facts. Tyson Gay is “faster on paper”, and on the clock. At the end of the race, they interviewed Tyson Gay and pointed to the Starting Line and asked if could believe where he ran from. I don’t know about you, but I could barely see the Start Line 200 meters away… let alone see a puff of smoke from a .22 pistol. Well, a .2 second deviation in a race which lasts less than 20 seconds may seem like a trifle matter to some. But, for the purposes of recording world record standards, a .2 second deviation looms large. Of course, this presupposes that one of the standards; 19.4, 19.5, or 19.6 was correct (a grand assumption). In fact, a .2 second deviation might be a significant factor in races up to 800 meters. There have been several times in the 800 meter race hovering above 1:41. One only need look to Ivory Crockett’s purported 9.0 second 100 yard dash in 1974 for hand-timed absurdity. A schoolboy, in cutoff jean shorts, and wearing worn sneakers, dashes to a 9.0 second standard in the 100 yard race. That would equate to a 9.85 second 100 meter dash. Then, as now, that would be out of the realm of physical possibility for an adolescent boy. Admittedly, my comment was at least partially born of bias: a child of Track & Field News, circa 1976, who also has a thing for ’60s meets like the Tokyo and Mexico City Olympic games, I’m definitely old school. . Still, phenoms such as Tommie Smith rate defense. Besides the aforementioned non-synthetic tracks usually ‘afforded’ to athletes like Smith, another disadvantage the Tommie Smiths shared that should be considered is something that can’t be measured in just tenths and hundredths: they often never had the time to explore their event(s) like, say, Michael Johnson did in his career. For example, shortly after just one Olympics Bob Hayes, of course, chose a more lucrative sport. So did Smith who, with one(!) career reception, prematurely killed his amateur status. And, speaking of the defense of Tommie Smith, there’s also the matter of our national defense: obligatory service was scenery for many young men back in the day and a distraction for Smith, who was Army ROTC. Finally, to specifically address Andy Cano’s rebuttal of my “vision of Tommie Smith”, I’ll add that Smith’s 19.83 at altitude was not quite that ‘slow’ as, keep in mind, he was partying near the end of the race – having embarrassed John Carlos who, like Tyson Gay, was something of a monster himself at the 100.